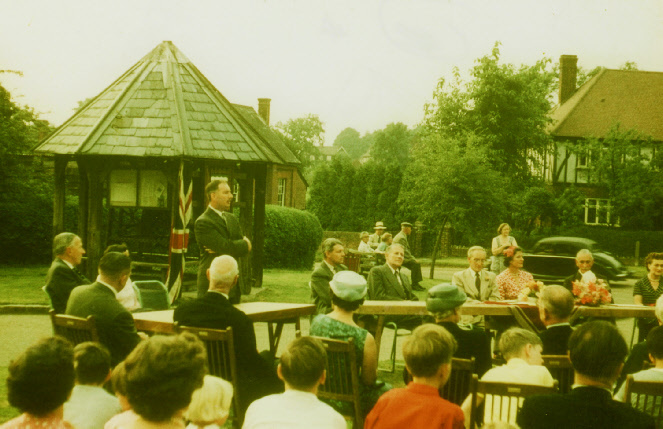 Preston was then administered by a ‘Parish Meeting’ which was the lowest form of municipal control – only a few of which existed. It consisted of two elected persons – the chairman and the clerk. I attended my first meeting which was chaired by Derrick Seebohm, a well-respected local dignatory. The first item on the agenda was to appoint a new clerk. Out of the blue, I was elected! The next item for discussion was the ‘Best Kept Village’ competition (small class). 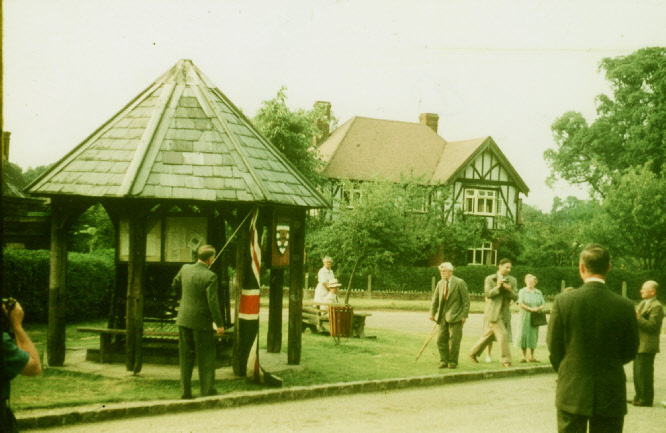 Preston had entered the competition in previous years without success and the general feeling was that the village should not be entered again. 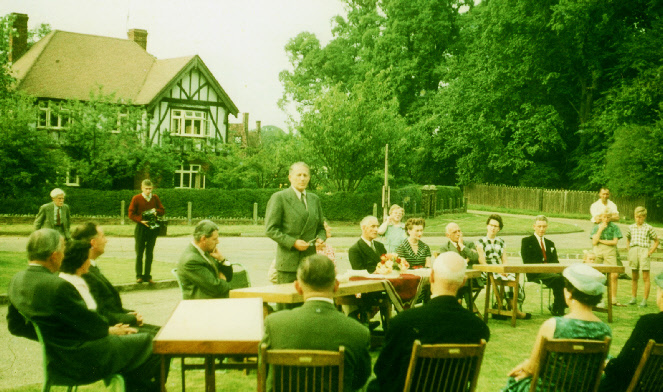 I made a plea which outlined the benefits of taking part - the resulting improvement in the appearance of our village and the integration of the community and the improved spirit it would produce. This argument won the day; but only on the basis that the chairman and I organised and planned the operation and carried out the necessary tasks with local volunteers. Our entry for the competition went ahead. The Head Mistress of Princess Helena College generously co-operated by making her girls responsible for the removal of all the debris and litter – they made a fine contribution. Many other volunteers came forward and with machinery borrowed from the local farmer we trimmed all the hedges and cleaned the ditches and hedgerows with an Allen cutter. Villagers could be seen working hard every evening until dusk. St Martins church was adjacent to the building plots and on the other side of the road was the petrol station owned by Hugh. We quickly settled for the third plot beyond the church for a total sum of £3,500 and named the house ‘The Hollies’ (shown right) – which is a commonly used truncation of our name. 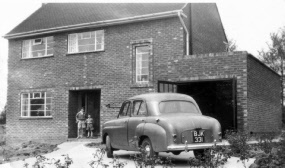 The first house from St Martins was occupied by the Vaughans and the second by the Horricks. The three of us worked for the English Electric Company. We were initially based at the Luton site before moving to Stevenage. The company was later known as British Aerospace. 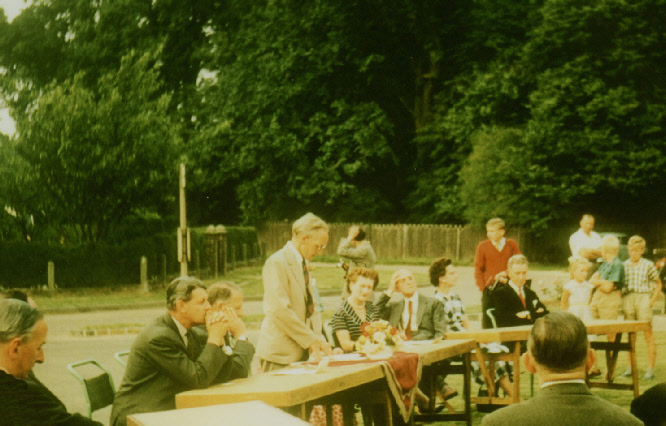 The award ceremony at Preston Green – second from the left is the Hon. David Bowes Lyon, then Harry Hollingsworth and Mr Bennett. Alma Hollingsworth is in the foreground. The Hon. David Bowes Lyon unveiling the award of the ‘Best Kept Village’ shield. Above, the Hon. David Bowes Lyon addressing the villagers. Above, Harry Hollingsworth’s address of thanks. When I was in my early thirties, my wife Alma and I discovered some new houses being built at Preston by Dennis Waller. We fell in love with the site and the area (writes Harry Hollingsworth). 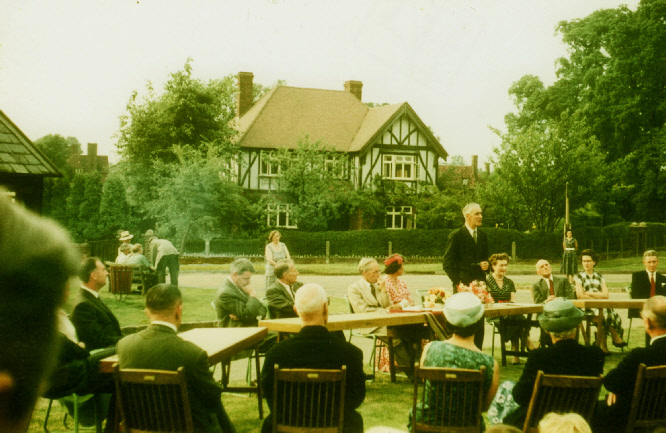 Preston had a thriving Horticultural Society and their members organised improvements in the village’s gardens, supplied flowering shrubs and gave advice. Derrick Seebohm (shown right) was a “hands-on” man and an enthusiastic worker and was able to get the best out of people. Together we planted a number of trees. A great amount of funding was unnecessary, but I organised a fair over a weekend which enjoyed beautiful weather and was a complete success – raising £100. This also had the effect of raising the spirits of the villagers and more friendships were made. 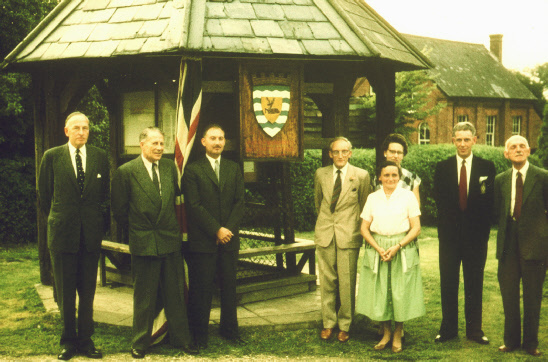 My wife and I became lifelong friends with the local schoolmaster, Fred Orchard and his wife Joan. 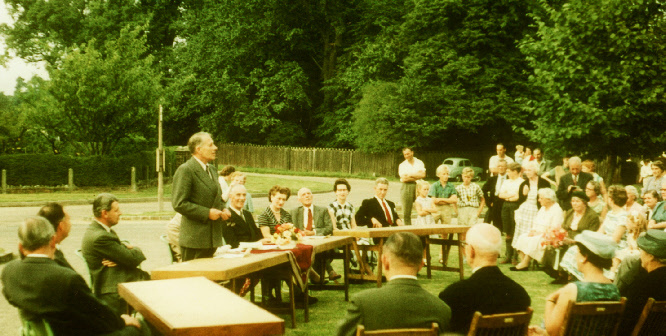 That year, Preston won the cherished ‘Best Kept Village’ competition – and won it again the following year! 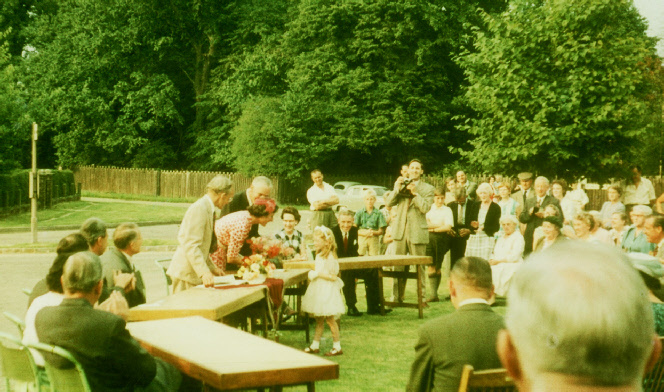 We held the awards ceremony on the Green. We were honoured as the presentation was made by the Hon. David Bowes Lyon.